Unfortunately for me, I have ample opportunity to be in Shampoo Banana many a dinner hour these days, passing through returning from points south. 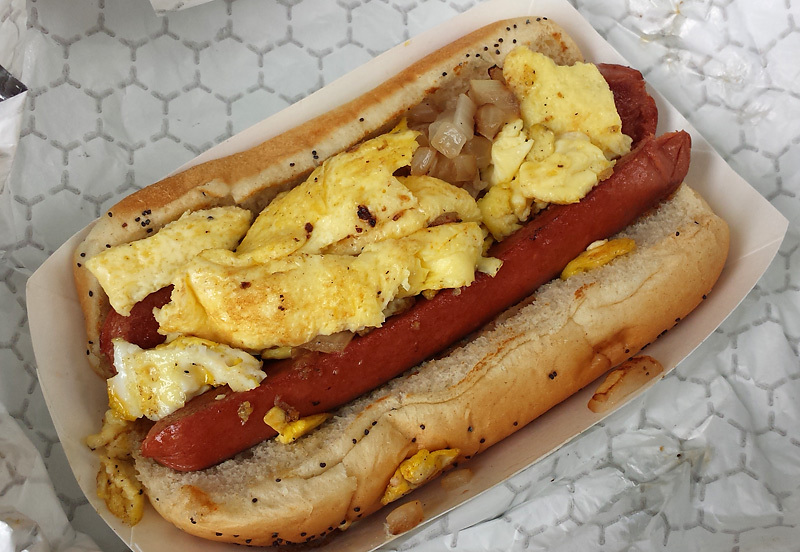 For both Black Dog and especially Golden Harbor it's all about the ordering. Some of the special things at BD are special. Duck, turkey, for example. I do think BD is not such a big deal in 2014 when good to very good BBQ is readily available beyond the south and west side legends. Golden Harbor's menu is a phone book and you called A-AAA Chinese Food. You have to wade in deep and dredge for things that look Taiwanese or Szechuan, especially. Gloppy Ameri-Chinese is offered but derided, not celebrated, here (look at the website to confirm). No wonder the Taiwanese roll was best. Headed there now, for better or worse! Ha! It made me laugh to see it referred to as Shampoo Banana. I haven't heard that in a long time. In fact, looking back through this thread, I see that nickname was only used once, by me. The News-Gazette had a contest once for the best suggested name for residents of the C-U area. "Shampoobananans" was my favorite. Suggested by Ward Hummel of Mahomet. I still remember that almost 30 years later. I swear, my memory is like a garage sale that nothing ever gets sold from. Very sorry to hear that. I really enjoyed my one and only visit. Unfortunately you were not in the house when I was there at an odd hour on a Saturday afternoon. I enjoyed "The Delicious Seaboat Sandwich" for lunch today. Two pieces of fried walleye and a nice dusting of spices. I spent the car ride home wishing I had ordered some fried okra and greens too. Been planning a run down to champaign, this place now on the list. Thanks. Darren72 wrote: Friends have recommended Seven Saints, a bar and restaurant that does a lot of slightly upscale sliders. I haven't been myself. I've been meaning to post about Seven Saints for a while. It's right across from the Amtrak station in Champaign and became a bit of an after dinner watering hole for me to pass some time while waiting for the train. Go here for the whiskey, especially. They have a quite extensive selection. Good selection of other spirits also. Beer selection is good too, but the Blind Pig is just around the corner. Food at Seven Saints is fine - well executed, but certainly nothing exciting. Jeff and Lisa Volker describe closing their popular restaurant, DG Sullivan's, as a good thing. That's because their new career is a “true blessing.” In a few weeks, they will be the caretakers and volunteer directors at the Shrine of Saint Therese, 20 miles from Juneau, Alaska. Congratulations and good luck in your new adventurous calling! Yesterday I hit up Li'l Porgy's, one of my favorite joints in Champaign-Urbana. Got the rib tips (mixed sauce on the side). Honestly, it wasn't their best effort -- not warm, some odd bits -- but was still quite tasty. I had a stellar lunch at Tang Dynasty in Urbana. We started with a cold appetizer of 'pork head meat with cucumbers,' which sort of reminded me of a Thai salad. It had thin slices of pork head that were perhaps lightly pickled and tossed, with cucumbers, in a light dressing. We had two main dishes: first was a 'spicy beer duck with bones in hot pot'. Pretty much as the name implied, it was chunks of duck cooked in a hot and sour sauce. Second was a whole braised fish - the menu lists a few different ones and I don't recall which we had. The fish was incredibly fresh. I know this because I picked the live fish that I wanted out of their tank. I had been to Tang once before, years ago, and while I liked it, the restaurant kind of fell off my radar. My meal the other day was incredibly impressive. I wish I was in town more often to work my way through the menu. Darren72 wrote: I had a stellar lunch at Tang Dynasty in Urbana . . . Sad to say that a recent dinner here was nowhere close to the level you described in your post. It's off-season in ChamBana and perhaps that partially accounted for it. I found the experience at the nearly-empty restaurant in the deserted, George Romero-esque Lincoln Square Mall to be disappointing and depressing. Whole fish were 86'd for the day, so we ordered a bunch of other items, all of which showed up entirely too fast at our table. So fast, they couldn't have been anything but microwaved. I mean, 7 dishes hit our table within 5 minutes of when we ordered them, and this while the chef sat reading his phone at a nearby table. Not encouraging. Hot dishes had telltale hot and cold spots throughout. Meats had that reheated taste to them. Flavors in a few other dishes were not too far off from versions in Chicago that I have come to favor but textures were way off, probably because this food hadn't seen actual heat in quite some time. The only dish that really shined was the Spicy Beef Tendon, which is served cold. I think this place may have potential but I won't go back unless school is in session and the place is busy. 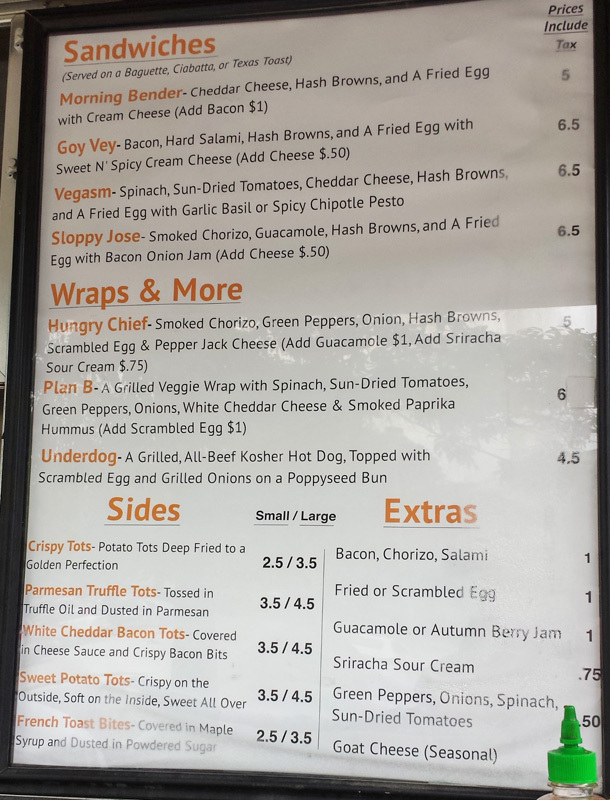 Stumbled upon a really great food truck in Champaign called Cracked, which perches at Mathews and Springfield from 8 am to 4 pm, M-F (a second truck keeps roughly the same hours at Goodwin & Oregon). A full schedule can be found at their website, linked above. 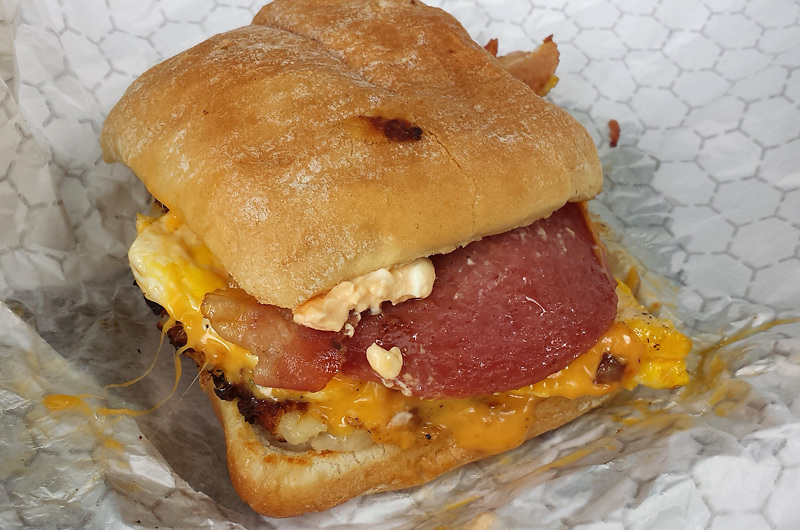 As a big fan of breakfast sandwiches, I have to say these were exceptionally tasty. I loved the ingredient combinations and thought the hash browns worked especially well, since they were cooked to order, piping hot and super crispy, even tucked inside the sandwiches. The ciabatta was soft enough to bite through cleanly but still study enough to hold the ingredients in place. Finding this truck made the bittersweet moment of dropping our son off at school for the first time just a bit less of a bummer. I know he's been back to Cracked a few times since we left, which is kind of comforting in its own way. And I'm pretty sure we'll all visit again together the next time we drive down for a visit. Stumbled upon a really great food truck in Champaign called Cracked, which perches at Mathews and Springfield from 8 am to 4 pm, M-F (a second truck keeps roughly the same hours at Goodwin & Oregon). Mathews and Springfield! That's right outside the civil engineering building! Dang! We didn't have any good stuff like food trucks when I was there. Although if you walked up to a Papa Del's Pizza delivery truck at a red light or stopped for a delivery, the driver would happily sell you a hot pizza on the spot (they drove around with a few extras for just that purpose); that was always a treat. Finally got a chance to try Maize Mexican Grill at First and Green in Champaign, twice actually, and really loved it. Especially the huarache and gordita. Fresh, homemade tortillas and flatbreads are excellent. Open 11am to 9pm everyday. Anyone have any insights into the relatively new BBQ joint that opened up next to Crane Alley in Urbana? The venerable Sea Boat, a long time Champaign outpost of fried Soul closed up it's doors a month or so back. Don't make a trip down expecting that fried fish sammie Jim. D.G.Sullivan wrote: The venerable Sea Boat, a long time Champaign outpost of fried Soul closed up it's doors a month or so back. Don't make a trip down expecting that fried fish sammie Jim. Dammit, Prime example of "you snooze you lose". Should of had that walleye sandwich higher on my hit list. Golden Harbor is really good. As good as any Chinese in Chicago. We stuck to ordering szechuan dishes. Well, I found two great reasons to get to Timpone's. One, the eclipse downstate of course. Two, I could revisit my old dorm and show my girlfriend where I went to school. I have not been to Timpone's since 2001 if I remember correctly. I was delighted to see that the pizza is still exactly the same as ever and still one of my all-time favorites for paper thin pizza (cut in little strips) and my girlfriend agreed. The bartender mentioned that the owner of Jimmy Johns has been trying to buy the recipe for some time, but the owner of Timpone's won't give it up. The pizza is only 10 inches now (used to have a large as well) and isn't cheap, but it's worth it to me. Keep in mind this is a higher end Italian ristorante with white linen napkins, not a pizza joint. I definitely need to return sooner. I also couldn't resist a guilty pleasure stop that I thought was long gone - Garcia's Pizza in a Pan. They used to have two locations a few blocks from each other on campus. I asked the manager about it and he said they went Chapter 11 in 1998 where Garcia's had pretty much all closed. But they are definitely back albeit pretty much for the locals now on the west side of town (and with a pizza drive-thru window). It's quirky room with one of the old brass fireplaces from the 70's inside (brought over from another location) and the Garcia's "Flying Tomato Brothers" hot air balloon. They primarily sell big rectangular slices of pan pizza. Doughy with a peppery sauce, it reminds me of being 18 again. Nothing really special about it, but I still like it. They also have locations in Bloomington and Decatur, but without a proper website, I am not sure. One of the former assistant managers that worked at Garcia's in the 70's opened up a place in Wilmette called Cheese To Please Pizza in 1981 that some said was very much like Garcia's. I checked this place out many years ago to find out it missed the mark (and since has closed). Drover wrote: Anyone have any insights into the relatively new BBQ joint that opened up next to Crane Alley in Urbana? To answer my own question, they were forced to close a year later after an alleged insurance fraud scam. Anko wrote: If it's related to this "Fresh International Market" in Champaign, it looks like it could have a pretty exciting selection. And food court! This made me curious. It looks like there are two Fresh International Market locations in Champaign, less than a mile and a half apart on Neil Street: one at 2020 S. Neil and one now at 505 S. Neil (in the old Piccadilly Liquors location). There are also two locations in East Lansing, MI and one in Lafeyette, IN. The second one opening so close to the first one and especially so close to the Am-Ko Oriental Foods (three blocks away at 101 E. Springfield) is curious -- although Fresh Intl seems to have a wider range of countries' products. That first location's address (2020 S. Neil) also caught my attention. Apparently it's in the same strip mall as Old Time Meat & Deli Shoppe, at 2018 S. Neil, which as far as I know is still Champaign's (C-U's?) only full-service butcher's shop, among other things. Good shop. And in other C-U news, specifically, re the much-missed Champaign Taste blog, a link on the Old Time Meat & Deli web page points to a review in an online magazine (Smile Politely) that looks like a potential source for more recent restaurant news and reviews. 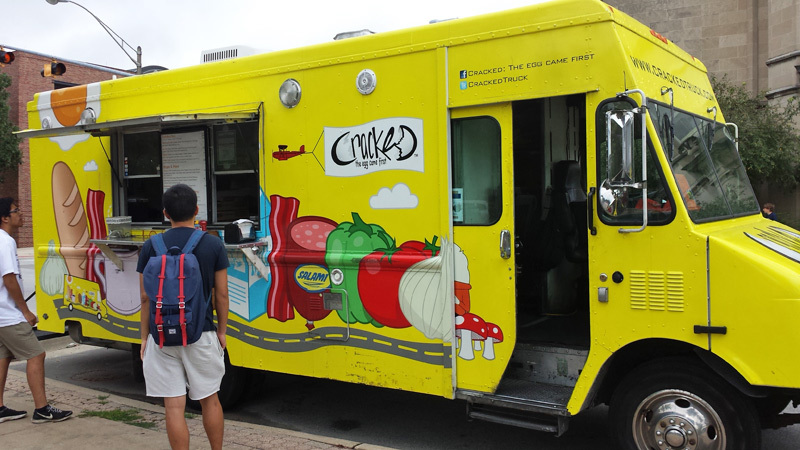 ronnie_suburban wrote: Stumbled upon a really great food truck in Champaign called Cracked . . .
Cracked now has a brick and mortar location at 619 E. Green. Unfortunately, this isn't the only change. The food seems to have taken a sharp turn downhill. Most noticeably, the bread is different and, unfortunately, a much lower-quality affair. What used to be flavorful, crusty and ciabatta-like, is now soft, uniform in texture and virtually flavorless, like a low-grade English muffin. 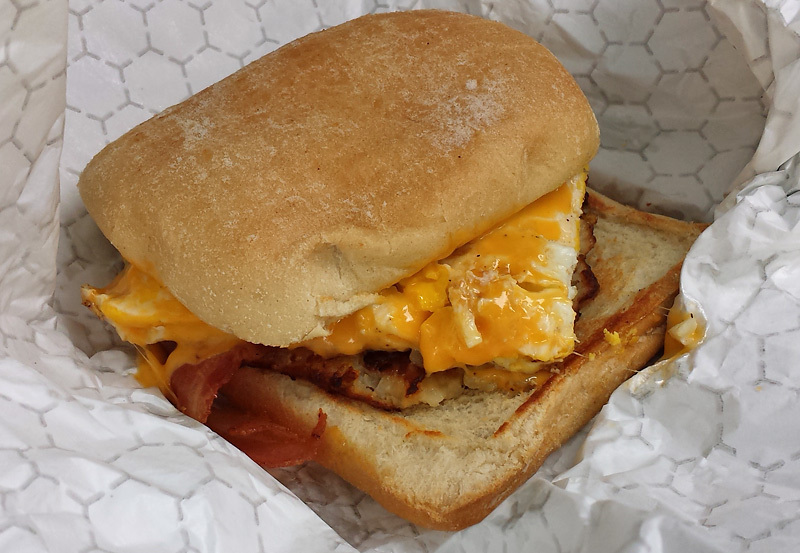 A variety of breakfast sandwiches we ordered last weekend were unappetizing, mushy masses. For a moment I thought that, perhaps, I was just over-romanticizing the now-lost foodtruck component. But looking at the pictures I posted above, it's very clear to me that what was once being used no longer is.